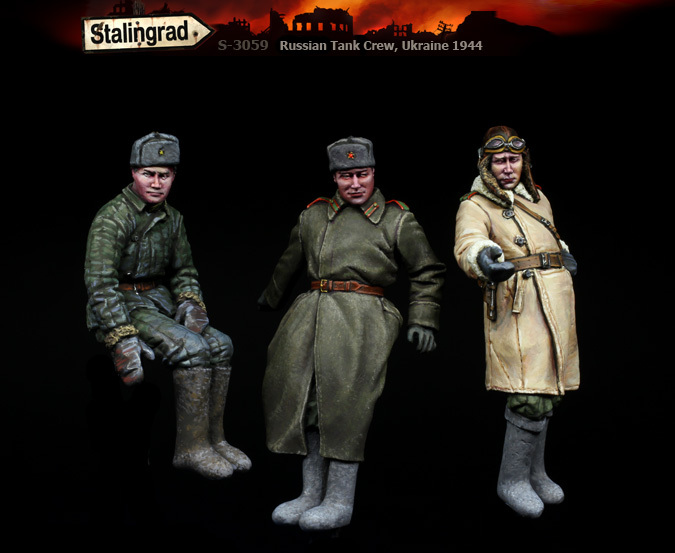 The Modelling News: A new set of 3 figures from Stalingrad for your T-34 in 35th scale to fight "General Winter"
A new set of 3 figures from Stalingrad for your T-34 in 35th scale to fight "General Winter"
These new resin figures will suit especially your early t-34 in 35th scale, they are for the winter climate as you can see by their clothing - let's take a look at them singularly and then all in one. 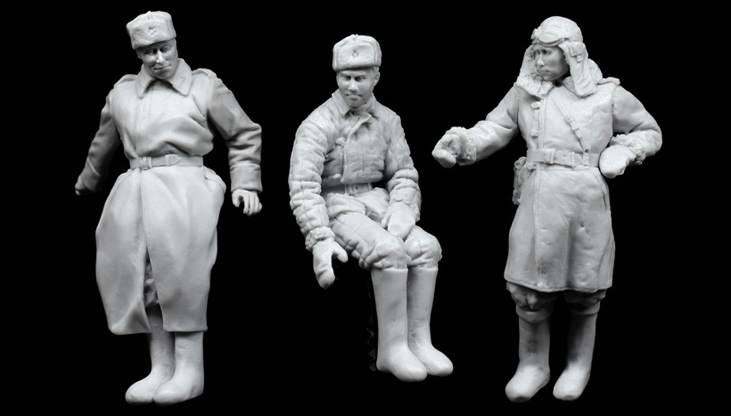 From left to right these three are all in very warm winter gear to combat the cold climates of the east that the Russians faced just as much as the Germans. It looks like they are pretty well prepared for it. "Ushanka" warm winter hats, Large padded great coats and thick "Valenki" boots that kept their feet warm are all present. By looking at this picture above, we see each of them present in the reference pictures below that were used in the sculpting of these figures. 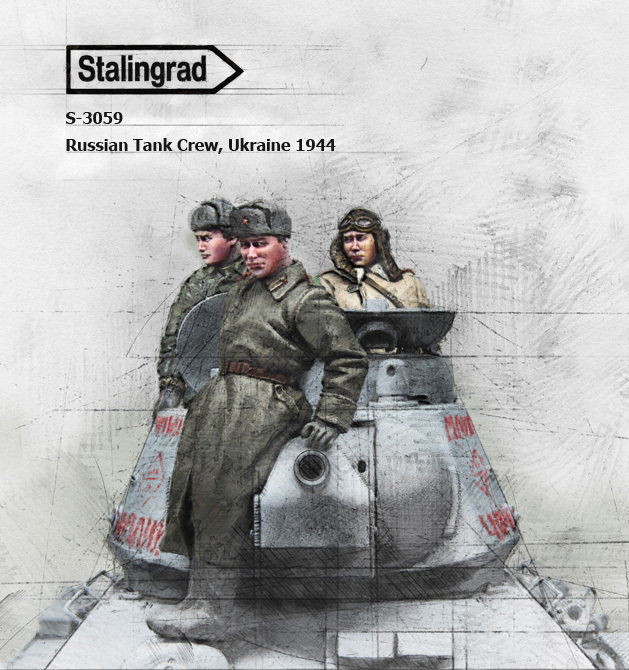 The first figure on the left is seen in this picture below on the front of his T-34 looking forward, his left hand resting on the barrel and his right on the front of the turret. 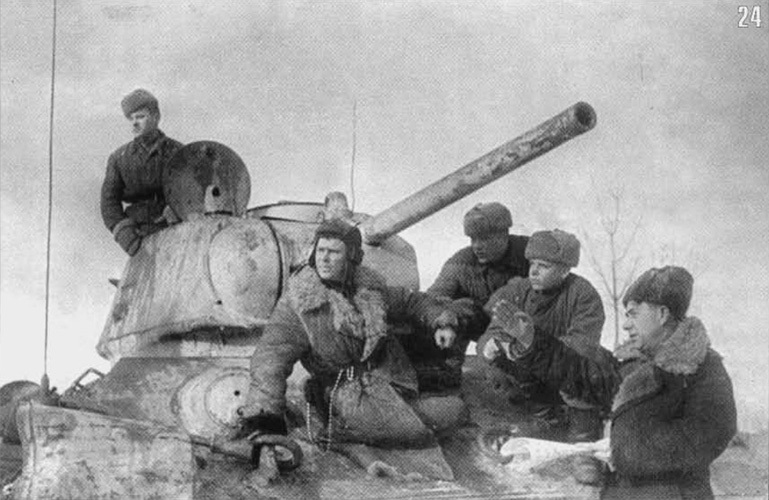 The second figure in this set is seen int he picture below sitting in tot he top turret of the tank in one of the "Mickey Mouse" hatches, again wrapped up against the cold in his padded pants and jacket, he looks pretty content. 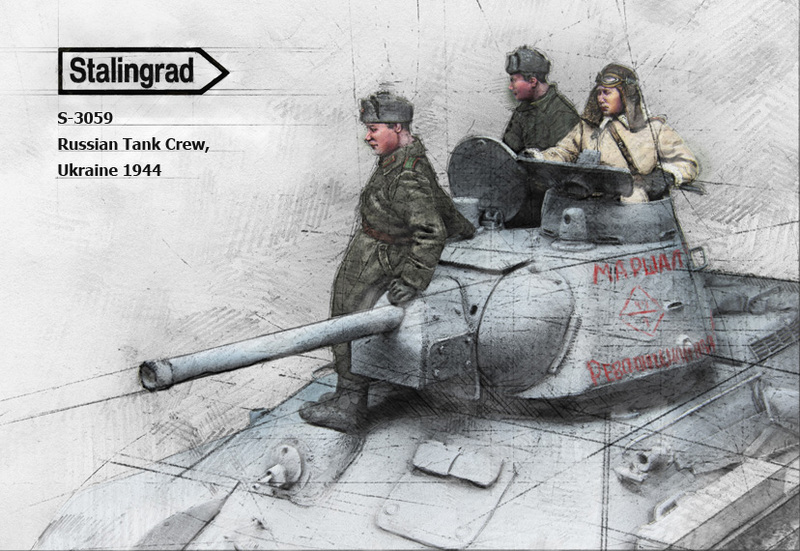 The third figure in the set (on the right in the picture of the three figures) is seen in this picture as the commander of this tank. His protruding nose and strong features are captured very nicely in this sculpt I think, I also reckon he looks like the was "Put in" this sculpt because he looked like a political leader? You decide for yourself. 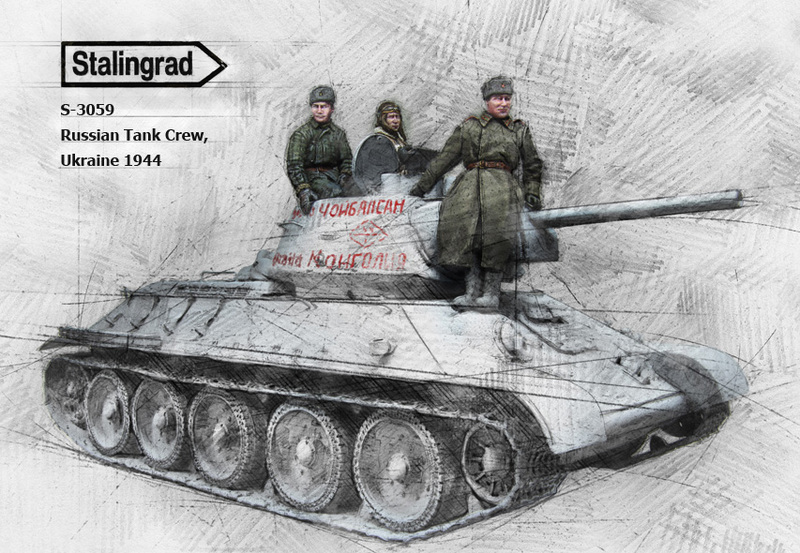 Here is a picture of all three of the tankers painted up - you can see here what they look like under a skilled painter's hands. 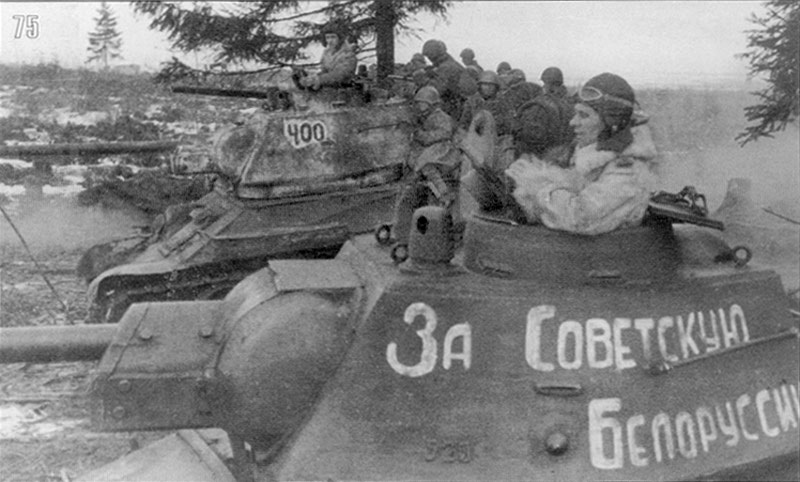 Lastly a mock-up of all three on their mount - the T-34. 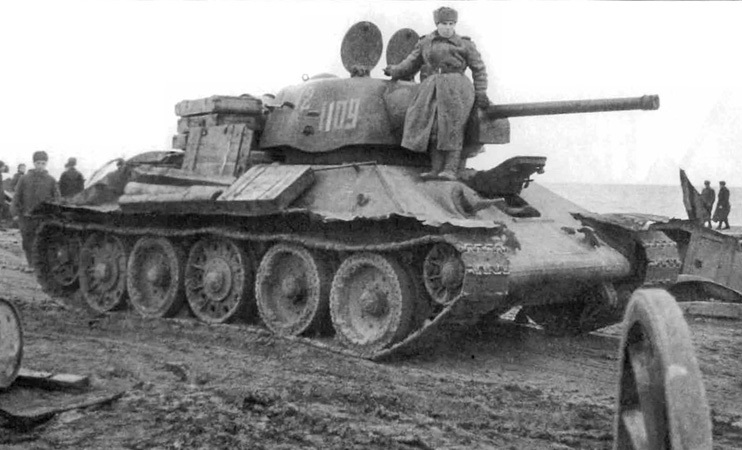 I suppose they could be used for any other Soviet tank with the same hatches or a similar space on the front deck so you could get more value from them by spacing them out over a few kits, it is up to you.